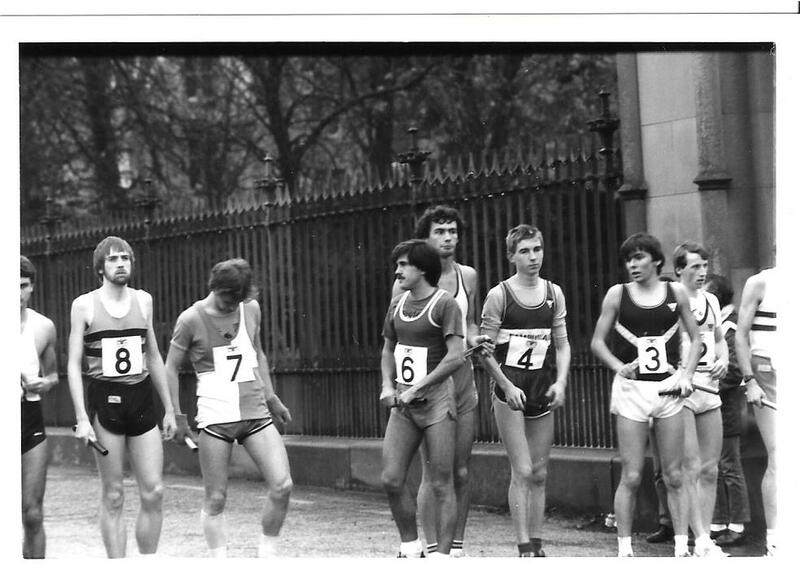 The picture above of the start of the Edinburgh to Glasgow in 1982 is one of a group of photographs taken by Alastair Macfarlane which you can see at this link. 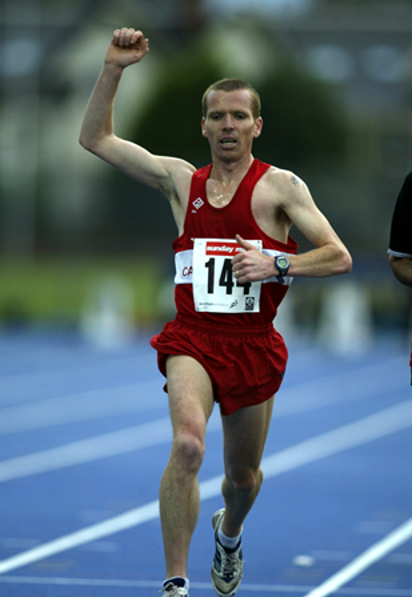 There is a flourishing professional side to Scottish running with many talented athletes – Michael Glen, Ricky Dunbar, etc, all running on the circuit. 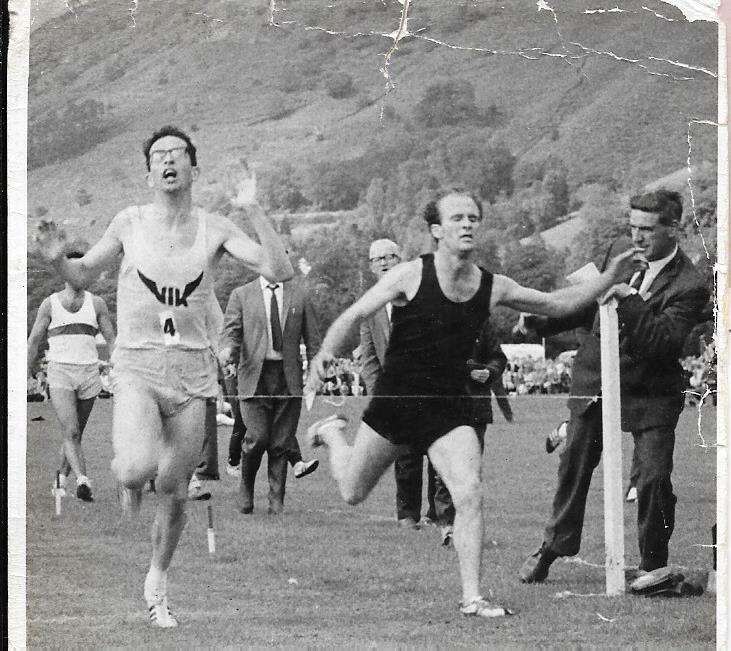 Men who would have graced any meeting and been a credit to the sport at any time. 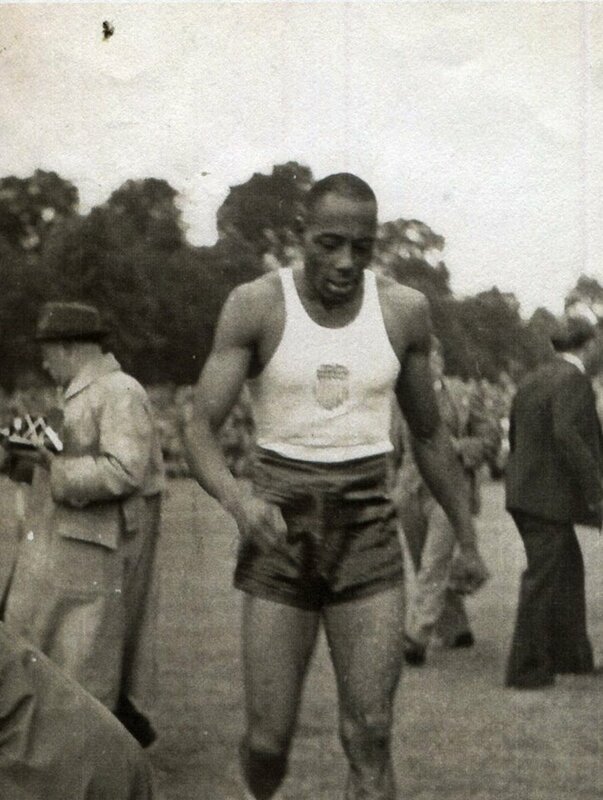 It is maybe appropriate to look at this aspect of athletics, an aspect which has been largely ignored. The introductory page is here The Olympian above is pictured at Jedburgh. 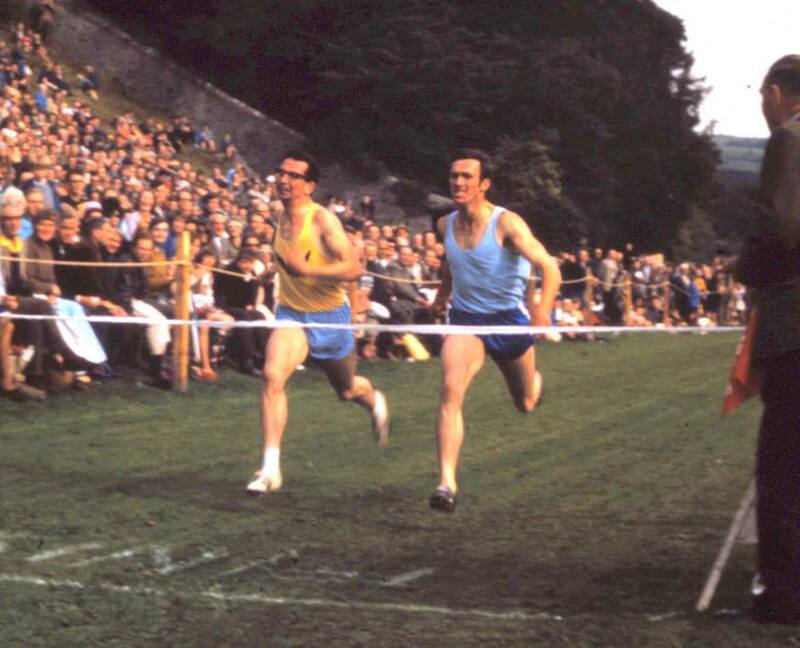 And a well known former professional who went on to win the SAAA marathon is pictured below (in yellow) at Pitlochry. On all these pages, the link bar is at the bottom.